Music and mysticism, my post on Dane Rudhyar, attracted a lot of readers back in 2007. Below is a recommended introduction to Rudhyar's music. The CD of his piano music comes from the enterprising Swiss Hat Hut label. Excellent sleeve notes are from the absolutely present Kyle Gann. (There is a virtual prize for anyone who reads to the end of that link - whatever happened to minimalism?) I notice that Boydell & Brewer has just published Dane Rudhyar, His Music, Thought, and Art by Deniz Ertan. The publisher says it 'is enriched with numerous color illustrations of Rudhyar's paintings'. Which takes us down a familiar path. 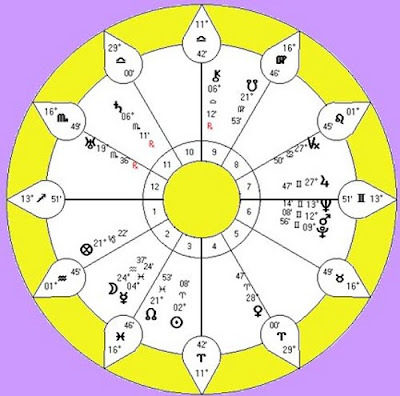 My header image shows one of Rudhyar's natal charts. Dane Rudhyar was a member of the influential Halycon Theosophical Community in California. Theosophy attracted many musicians. Among them was Ruth Crawford Seeger. Who, most definitely, was not a Male American Pioneer. Mystical astronomy takes us here. THE MAGIC OF TONE and the Art of Music, by Dane Rudhyar. The Rudhyar Archival Project is pleased to bring you this long-awaited title. Out-of-print since 1987, The Magic of Tone is now issued free online. Serious interest in Rudhyar's pioneering work as a composer is growing rapidly. This title is Rudhyar's last word (written in 1982, three years before his passing) on Sound, Tone, Music and the Rhythm of Civilization and Culture. 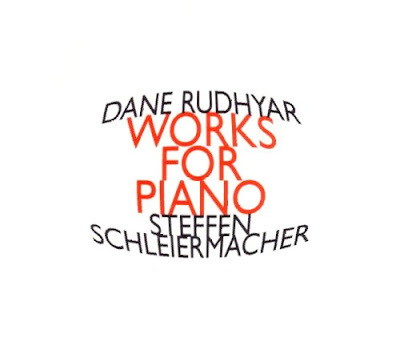 Boydell & Brewer tell me that the publication of Dane Rudhyar, His Music, Thought, and Art has been slightly delayed. It should be shipping towards the end of February.